THE LACQUER DISC - polished aluminum discs which are coated in acetate. The studio’s work ends with the completion of the lacquer master and the production of vinyl records is continued at a pressing plant. Lacquers, which are available in different sizes, are composed of polished aluminum discs which are coated in acetate. 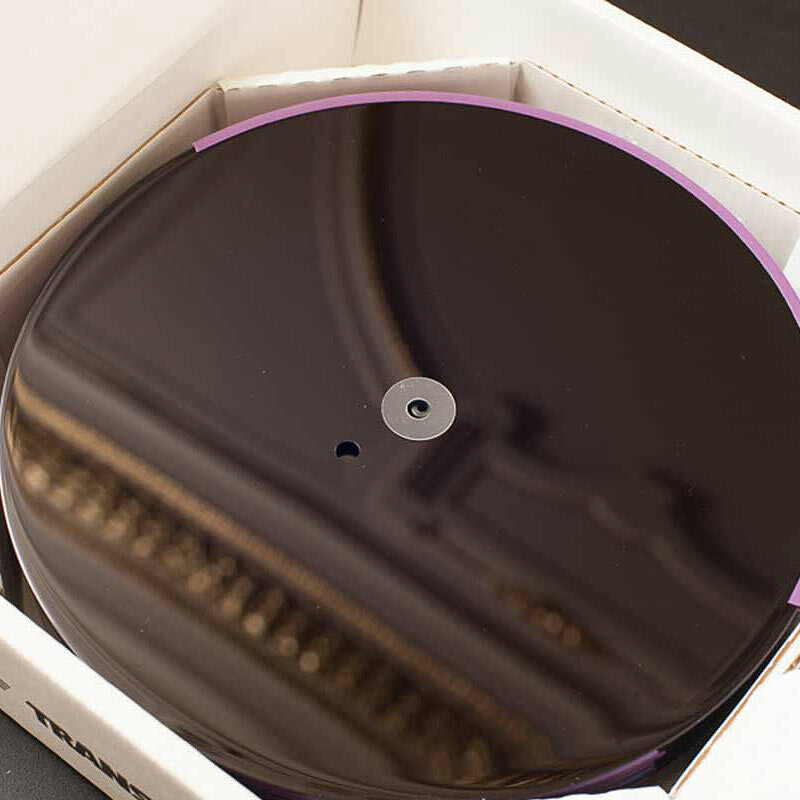 For the production of LPs, 14” diameter versions are needed, for EPs 10” and correspondingly smaller ones for singles. There are even LP-sized (12”) versions, which are used for monitoring without the wait for regular test pressings. 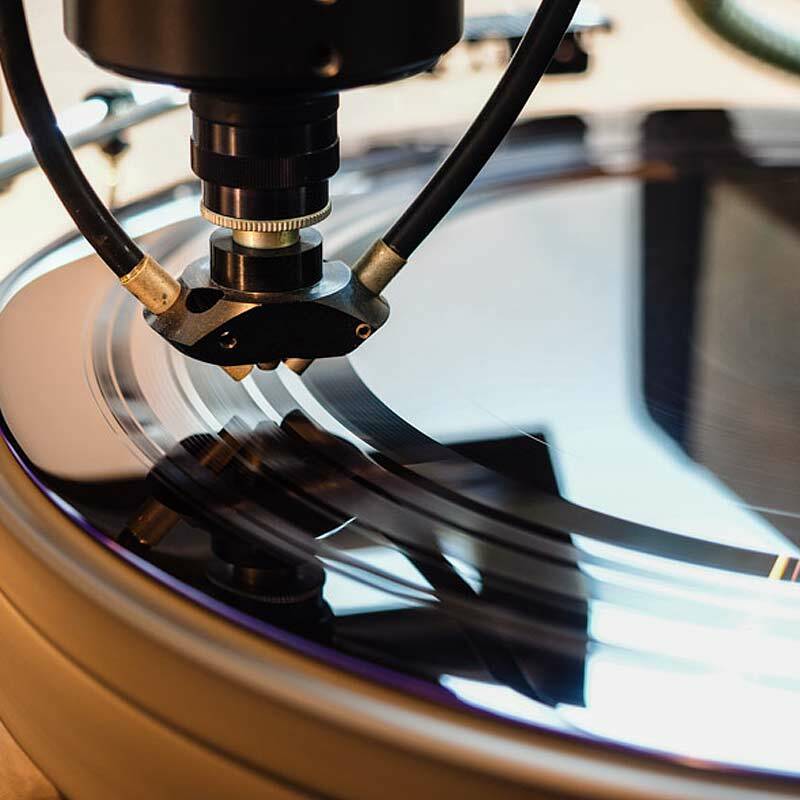 Due to the material’s softness, playback causes substantial wear of the lacquers, which can therefore only be listened to a couple of times, in contrast to vinyl test pressings. For this reason, the master lacquers for production of LPs are not played pack. There are only two manufacturers left, that produce lacquers. Firstly, there is USA-based Apollo, which has taken over its competitor Transco a couple of years ago. Secondly there is MDC, which is based in Japan. Apollo and Transco still use different formulas for the production of acetate. Therefore, cutting engineers can still choose from three different makes and every engineer has an individual preference. Theoretically, both sides of a lacquer could be used for cutting. However, the manufacturer guarantees a flawless surface for only one side of the lacquer. This is crucial for the vinyl’s final quality, since the lacquer errors amplify themselves during the process of galvanization of stampers for PVC moulding. Therefore, it can be heard on every single copy of the record. Since the lacquers‘ acetate coat is quite soft, the recorded masters are very susceptible to mechanical damage. 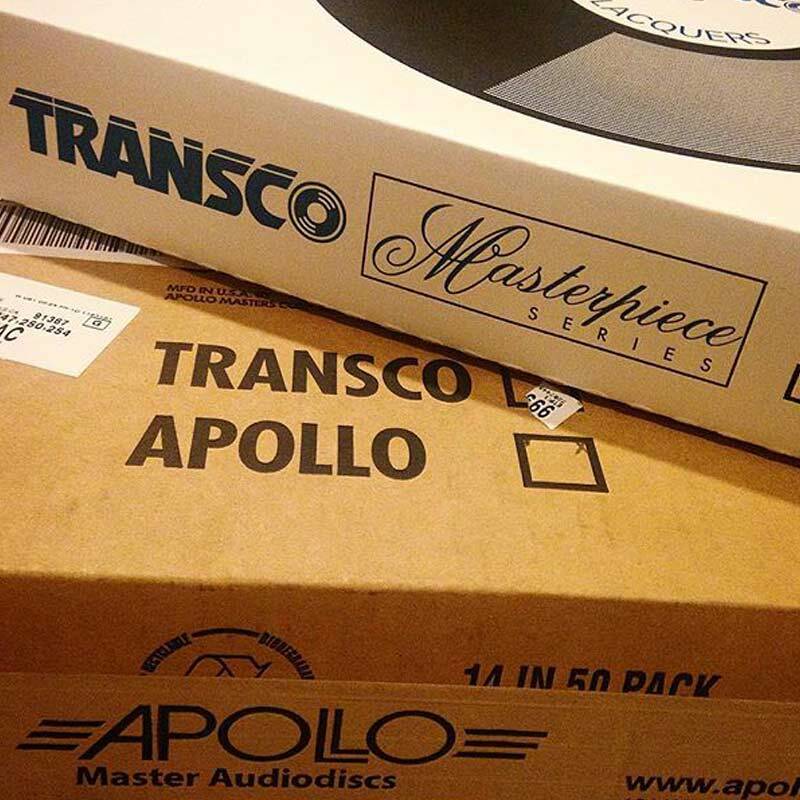 Special containers are used to guarantee safe shipment to the pressing plant – in Europe, the studios commissioned by Speakers Corner use only our own, specially made containers. Apart from mechanical damage, lacquers are also time-sensitive and prone to temperature changes. 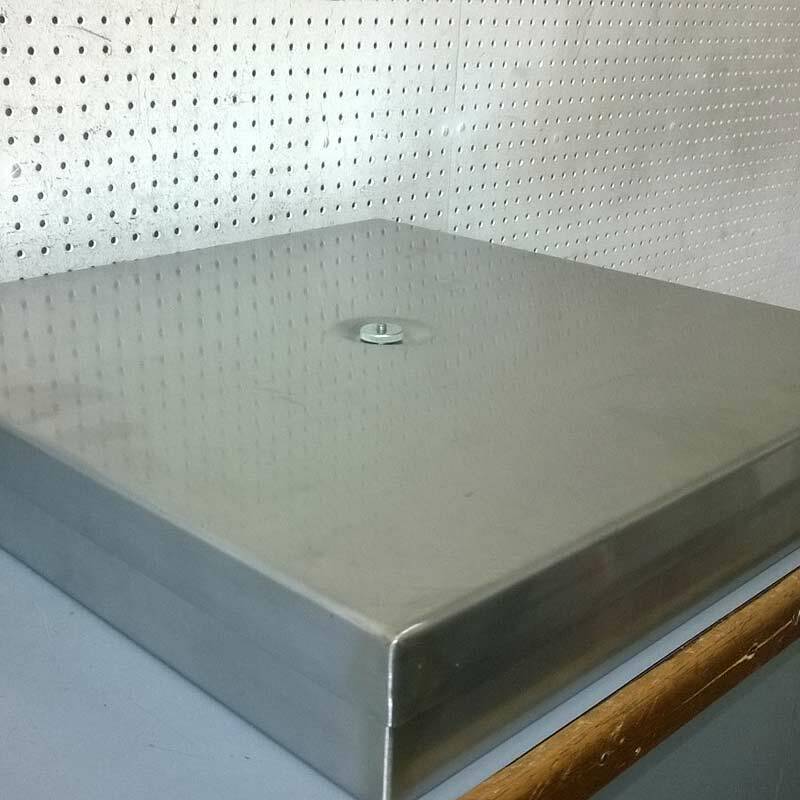 Since the material springs back over time, lacquers must be galvanized within a few days. Within Europe, this is not problematic, since Pallas, our pressing plant, can be reached in time by courier service. Lacquer masters that are cut for us in the US will not be sent to Germany but processed at QRP in Salina, KS. Only the metal positive matrices, the so called “mothers” are then sent to Pallas.